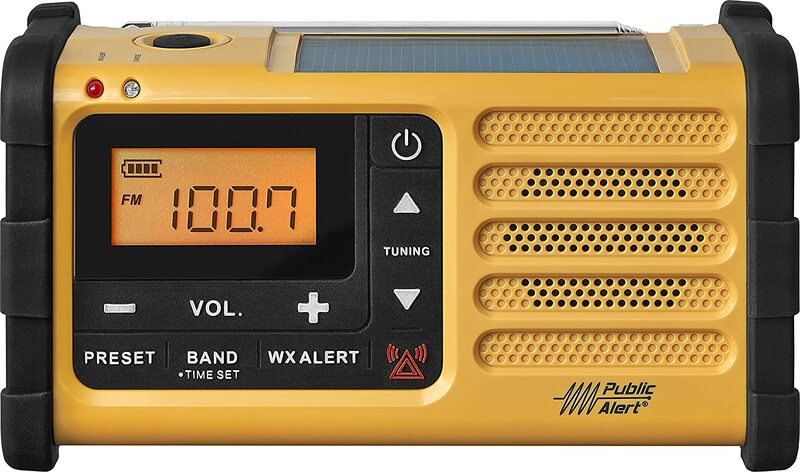 I hope I would never needed to use this portable radio, but it is a nice thing to have in case of emergency. It allows you to charge smartphone, recharge itself through the solar panel, USB, or hand crank, which it would never run out of power. It comes with LED flashlight, emergency buzzer. In additional to FM and AM, it also has channel for Public Alert will give you a better update on the weather.